The Clean Energy Business Network is all about the “network.” We collaborate with Partner Organizations across multiple sectors and geographies to advance the clean energy economy. The organizations listed below are collaborating with the CEBN to help our members navigate tools, policy information, events, and services relevant to their interests. This list of partners is a new resource that launched July 2018–stay tuned for additions! If your organization is interested in collaborating with the CEBN, contact us at cebn@cebn.org to learn more. Advanced Biofuels USA, a nonprofit educational organization, advocates for the adoption of advanced biofuels as an energy security, military flexibility, economic development and climate change mitigation/pollution control solution. The organization provides technology assessments and educational materials for public, policymaker, industry, and media audiences. The CEBN and Advanced Biofuels USA collaborate on sharing updates on biofuels policy with business leaders and communicating the benefits of biofuels technology with the public and policymakers. The Alliance for Industrial Efficiency is a diverse coalition of representatives from business, labor, non-profit organizations, and educational institutions that are committed to enhancing manufacturing competitiveness and reducing emissions through industrial energy efficiency, particularly through the use of clean and efficient power generating systems such as combined heat and power (CHP) and waste heat to power (WHP). The Alliance for Industrial Efficiency is a project of David Gardiner and Associates. The CEBN partners with the Alliance for Industrial Efficiency on informing the public, clients, and policymakers about the benefits of industrial efficiency and promoting policies to support greater adoption. Founded in 1992, the Business Council for Sustainable Energy is a coalition of leading trade associations, corporations, and utilities working to advance market opportunities for energy efficiency, renewable energy, and natural gas. The BCSE is the CEBN’s parent organization and closest partner, working with us to create a stronger, more unified voice for the clean energy industry. This relationship promotes policy and industry collaboration between the small businesses that are the core of the CEBN’s members and the larger corporations and industry leaders comprising the BCSE. Citizens for Responsible Energy Solutions (CRES) Forum is a non-profit organization committed to educating the public and influencing the national conversation about commonsense clean energy solutions that are actionable, market-friendly, and fiscally responsible. The CEBN partners with CRES Forum on events, communications, and policy outreach to promote greater awareness and support for clean energy among conservative policymakers and stakeholders. EMA is a new and innovative association that is dedicated to advancing the quality of energy management products and services for the benefit of the building owner. The founding members are certified Energy Management Professionals (EMP), a program that was developed by ACG, the world’s leading association of certified commissioning authorities. Management of the program has been transferred to EMA. Having established a process to improve energy management services, EMA seeks to expand its membership base to include other engineers, contractors, building owners, facility managers, manufacturers, utilities, commissioning providers, and others with an interest in advancing the quality of energy management services. The association is committed to providing training and certification, education, accreditation, and exposure for new technologies and services. EMA is a co-sponsor of CxEnergy, an annual conference and exposition that covers the integration of commissioning and energy management. EPIcenter is transforming an historic power plant on the San Antonio River Walk into a “new energy” innovation center. The “EPI” stands for Energy, Partnerships, and Innovation; this $74.5 million project includes a think tank, incubator and accelerator, fabrication laboratory, exhibit space, and a conference center. “New energy” is focused on making energy cleaner, more efficient, less expensive, and extending the life of existing assets. The CEBN collaborates with EPIcenter on events and thought leadership on opportunities to advance the clean energy economy in Texas and across the nation. The Heat is Power Association (HiP) is the trade association for the waste heat to power (WHP) industry. WHP captures leftover heat from industrial processes to generate electricity with no additional fuel, no combustion, and no incremental emissions. HiP members include technology innovators, project developers, educational institutions, and other associations focused on clean energy and energy efficiency. HiP promotes industrial energy efficiency through the use of WHP technologies and advocates for policies that provide parity for WHP with other sources of clean energy. The CEBN collaborates with HiP by informing the public, industry, and policymakers about the benefits of WHP and promoting policies to support greater adoption. Leaders in Energy has a rapidly growing global member base consisting of individuals that are passionate about contributing to the development of sustainable and environmentally responsible communities around the world. The organization’s programs and activities encompass three broad areas: sustainable communities, the green economy, and multi-generational leadership. Leaders in Energy helps members connect with one another to expand their opportunities related to employment, business partnering, knowledge-sharing on innovative practices, etc. as a strategy to help accelerate and scale clean energy and sustainable solutions. The CEBN partners with Leaders in Energy on events and communications to promote information-sharing and collaboration among clean energy professionals. 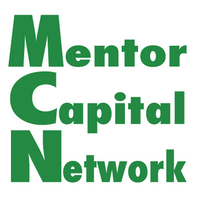 The Mentor Capital Network supports early-stage entrepreneurs who are developing market solutions to address the world’s biggest social, economic, and environmental problems. MCN pairs up entrepreneurs with expert mentors who provide constructive business plan feedback, along with a network of founders and peers solving similar problems. MCN also offers cash prizes to particularly promising companies. Alumni of the program have gone on to create hundreds of growing companies, employ tens of thousands of individuals and raise more than $300M in follow-on capital. The CEBN collaborates with MCN to identify early-stage clean energy companies who would benefit most from the program. Potential Energy DC, a non-profit organization, incubates emerging energy solution companies in the DC Metro area. We look for high-impact companies that might not fit the traditional unicorn-hunting investment philosophy. We are a member of the Incubatenergy Network lead by EPRI and NREL. TechLink is the Department of Defense’s national partnership intermediary. Its mission is to help businesses large and small access new technologies developed in DoD laboratories. TechLink helps businesses license patented DoD technologies for development into new products and services for commercial markets and helps entrepreneurs navigate opportunities to conduct mutually beneficial research with DoD laboratories. The CEBN collaborates with TechLink to help clean energy providers tap into DoD technologies and research partnership opportunities.